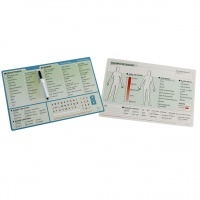 The widest range of medical health products including wraps and braces, exercisers, clinical thermometers, medicine reminders, stethoscopes, and more! Organizer Dimensions: 11 in. x 4 in. x 1 in. ; Pod Dimensions: 1 in. x 0.75 in. x 1 in. 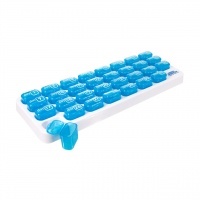 31-Day Pill Organizer has pop-out compartments. NOTE: Hand wash only. Dry completely before adding pills. This 7-day medication reminder is so complete, no wonder it's considered the world's best pill organizer around. 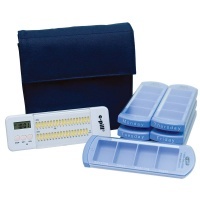 The seven large capacity organizers can hold up to 25 aspirin size pills per compartment. 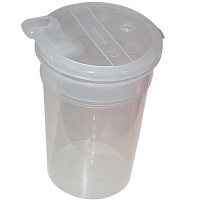 Each daily organizer is clearly labeled with the day of the week and slides open easily for simple dose access. It even has tactile labeling (braille) for easy night reading. And, if all that weren't enough, there is a simple to-use medication pill reminder that can alert you up to 31 times per day. No reset required. Just set it once and the alarm will reset itself at midnight for the next day. All seven pill organizers and the alarm come in one convenient storage case made of durable high quality canvas that holds everything together. The alarm comes complete with 2 replaceable G10 watch batteries. 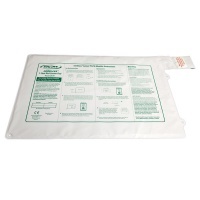 Entire system measures approximately 6 1/2 x 6 1/2 x 2. Weight: 1 lb .3 oz. Fits waist sizes from 29 in. to 50 in. Instantly slim your waist and shed excess water as you exercise! The Adjustable Slimming Belt trims inches as soon as you put it on and helps increase perspiration while you work out - while at the same time providing added support for your back. 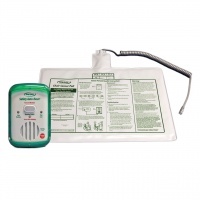 - Sauna Action: By using your body's natural heat you'll also shed excess water weight as you wear it. Keep it on while you exercise! - Fits waist sizes from 29 in. to 50 in. Measurements: 9.84 in. x 50.5 in. 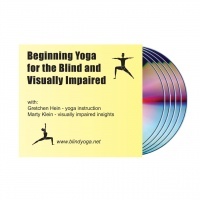 Gretchen Hein, a certified yoga teacher and her partner, Marty Klein, blind author, workshop leader and yoga student combine their knowledge and insights to bring you a dynamic and inspiring introduction to the basics of yoga. - physical activities that develop your sense of body awareness and alignment or cultivate a deeper spatial sense of your body and proper alignment. - basic stretches that tone the body, develop flexibility and strength as well as encourage deep relaxation. - 24 basic yoga poses presented in a clear, step-by-step manner, specially designed for those with little or no sight. - how to use a yoga mat and other props as guides when you practice. - special insights for the blind and visually impaired from the blind perspective. - tips for yoga teachers for their blind and visually impaired students. - directions for programming your own yoga sequences. 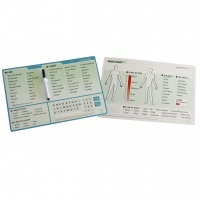 Large, easy-to-read text in communication board; Word Boards offer an "I Am" column to indicate state of being; An "I Want" column to indicate wants and needs; Pictures of the body to indicate needs in a certain area; Color-coded pain intensity levels from 0-10 to describe listed discomforts; Dry-erase construction with dry-erase marker included. English version. 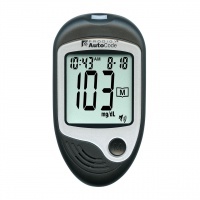 Control Solution for the Talking Blood Glucose Monitoring System. Use the control solution to check the accuracy of your machine; that machine and testing strips are working together correctly and that you are performing the testing function properly. 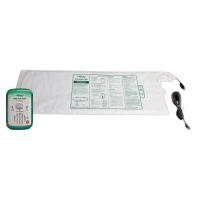 Control solution allows you to test your blood with confidence, knowing your results will be accurate. 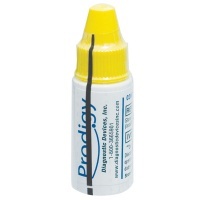 Bottle contains 4 ml of control solution.